Hi! My name is Scott Zier, and I’ve been working at Hi-Rez Studios for about nine years as a Level Designer, Senior Game Designer, and now as the Lead Designer on Smite. 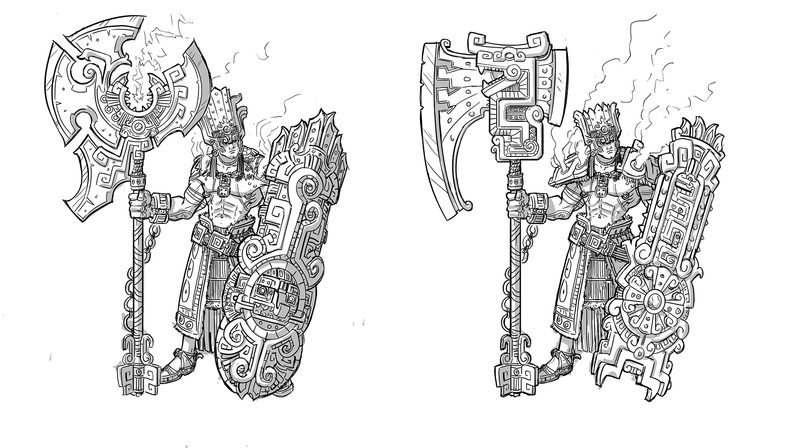 My role at the studio is to guide the design process on Smite, related to short and long-term content deliverables and new game features going into the live environment. I also do individual god-design on rotation with other members of the design team and work with the balance and community teams on future adjustments to the game. Absolutely. God design in Smite starts with research. We want to have a good understanding of the mythology, of a gods potential role and personality before we put them into production. We usually have some idea of what we are looking for when we start researching. 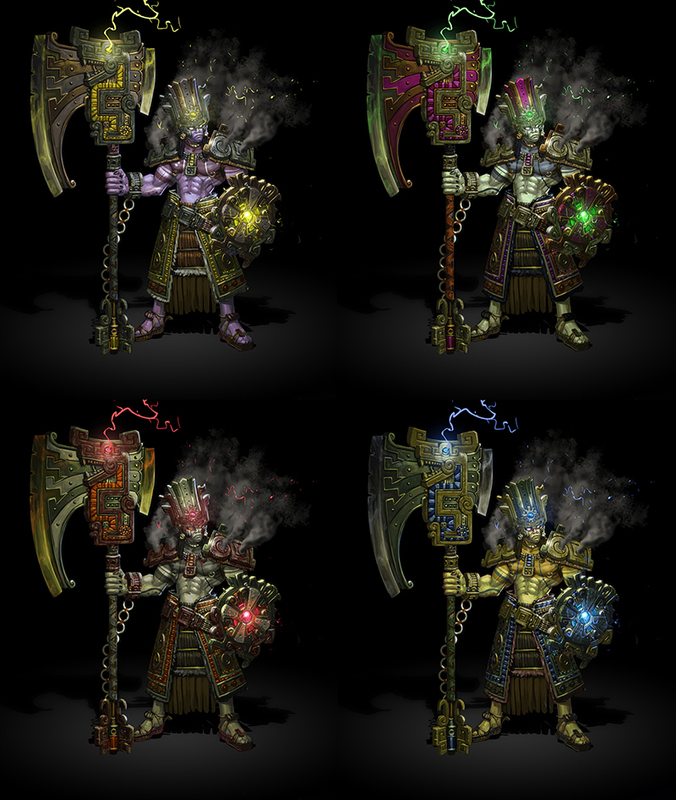 Sometimes it’s as simple as knowing we want to add a new Mage or new Roman deity to the roster. Sometimes there are specific gameplay features we are looking to add, such as temporary health shields, or healing, that are the foundation for our mythology research. 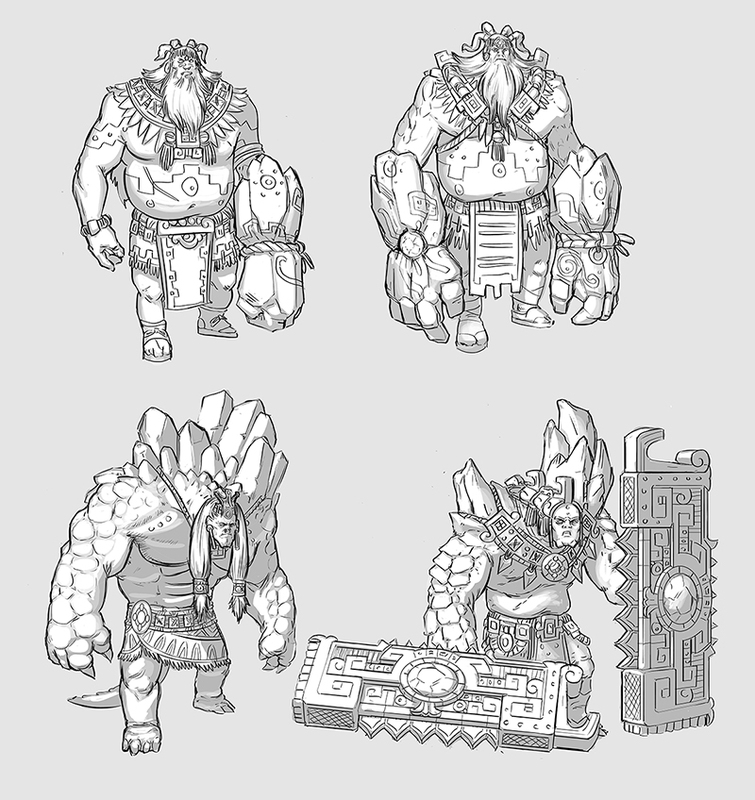 Once we find a few mythological figures that fit our goals, we start concept art and generating gameplay ideas. Early on there is a lot of iteration of art ideas and game design to get to the point everyone is excited and happy with the direction. 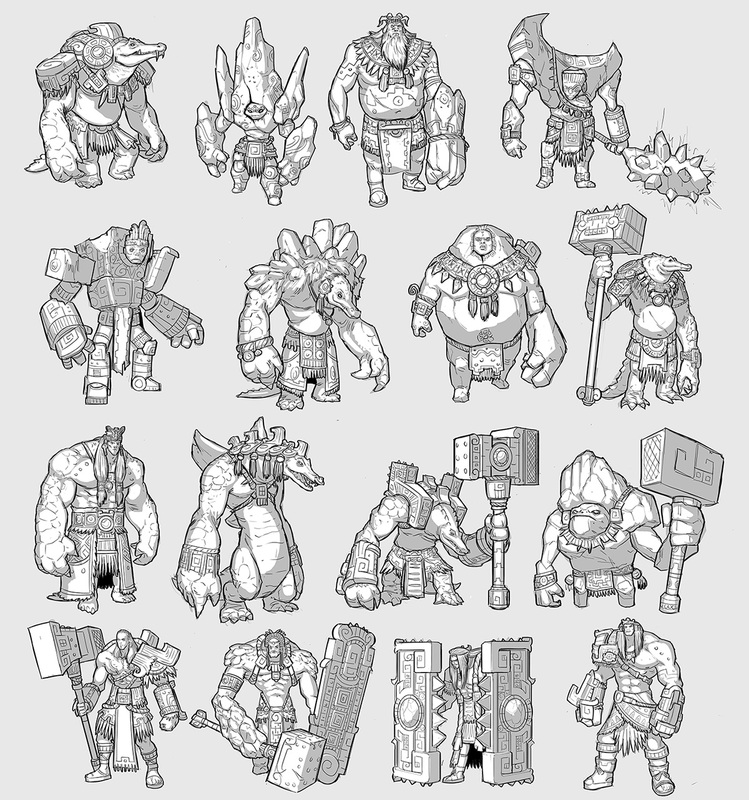 We’re a studio that loves to test quickly, and iterate frequently, so we try to get the god in the game in as rough a form as possible. 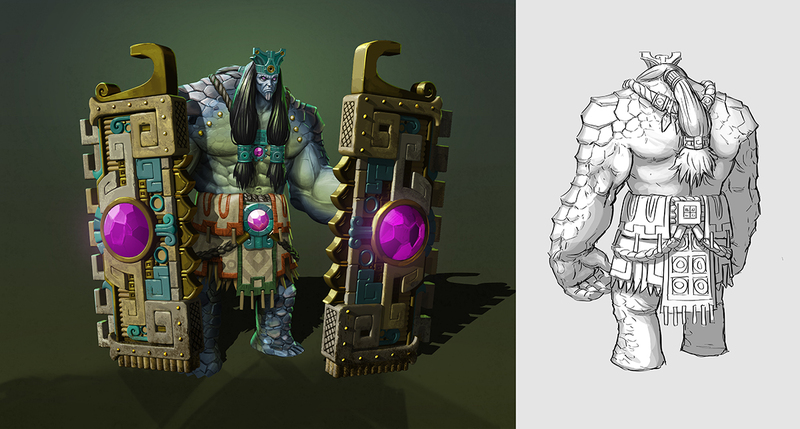 We then do frequent reviews to ensure the designs we ship are fun and fit the requirements of a SMITE god. Sure, there are guidelines for conception and design keeping the correct tone and feel for Smite. It’s always a challenge to stay within the guides, while also trying to nurture something unique and special for each god. 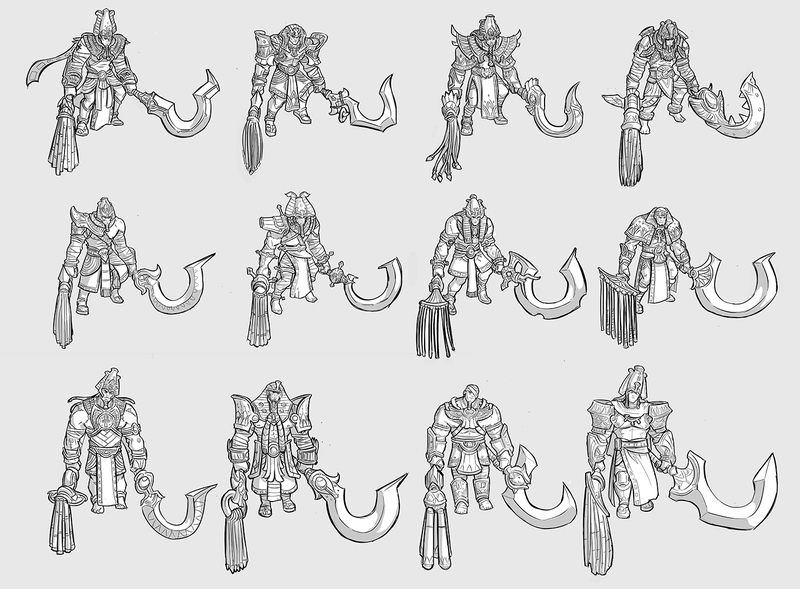 For example, there are visual themes that connect each Pantheon, and guides around ability design related to class choice. In most cases, the mythology is a boon for this, as it usually starts us with a unique and exciting foundation! One of the advantages of working with mythology from around the world is that most of the gods are already unique! Our goal as designers is to take what makes them unique from a lore perspective and to translate that into new and exciting gameplay options. Probably the most difficult challenge is related to our patch release schedule. We put out a new god about every four weeks, on top of other new content like skins, voice packs, and new features like the league system. It adds a lot of time pressure to a process already complex and demanding. That said, it’s also very rewarding come patch day! 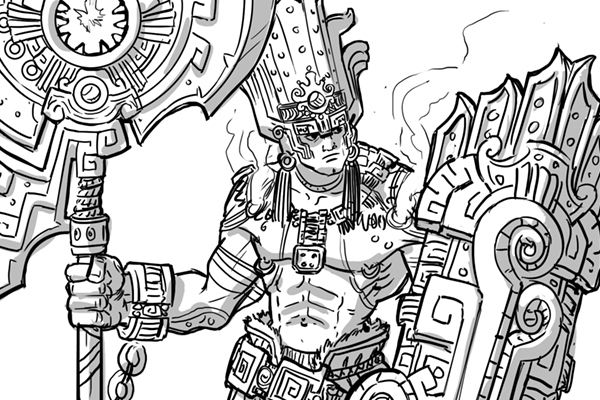 Getting regular content out for our players to enjoy is one of the exciting things about working on a game like Smite. 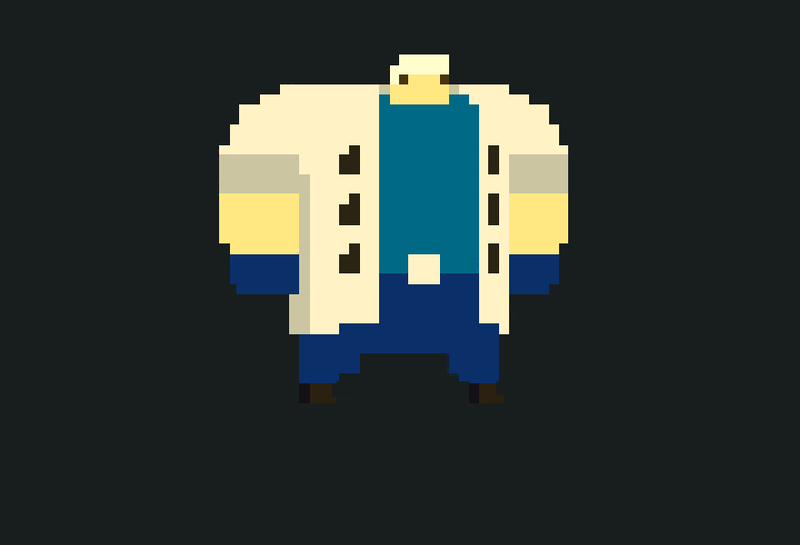 Any scrapped ideas in the bin? Oh yeah. 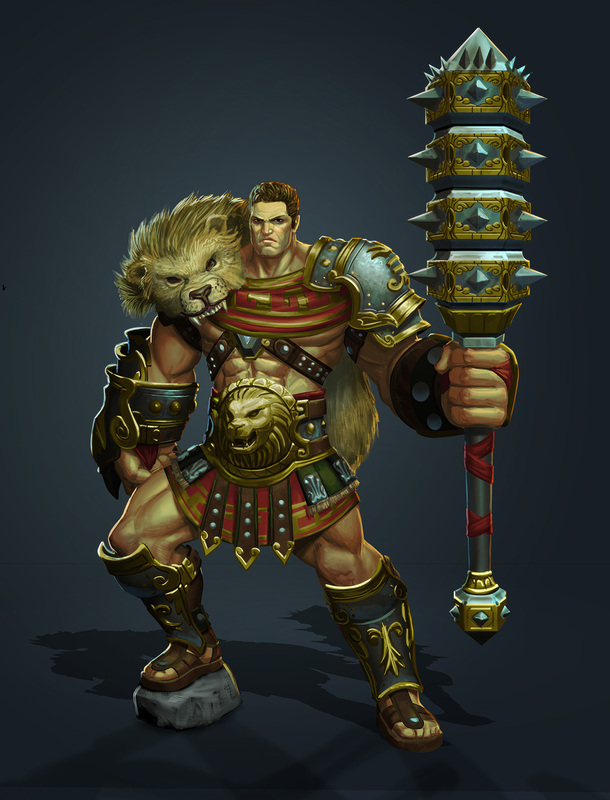 There are thousands of discarded ideas in Smite that were tested, then dropped for various reasons. For example, we tried hard to have one of our Guardians, Kumbhakarna, pick up players and then throw them to a location of his choice. We struggled with the potential grief factor for allies, as throwing a team-mate into enemies could be either an awesome team-work moment or a horrible troll. We tried such things as him becoming a “spring board” so that allies had to trigger into him to be thrown, versus Kumbha picking them up. Everything just felt too clunky, though. A two-step process in Smite (pickup, then throw) requires a lot of camera movement and aiming interaction to our 3rd person view. Ultimately we decided it didn’t fit with the rest of his kit and shelved the idea for a later date. 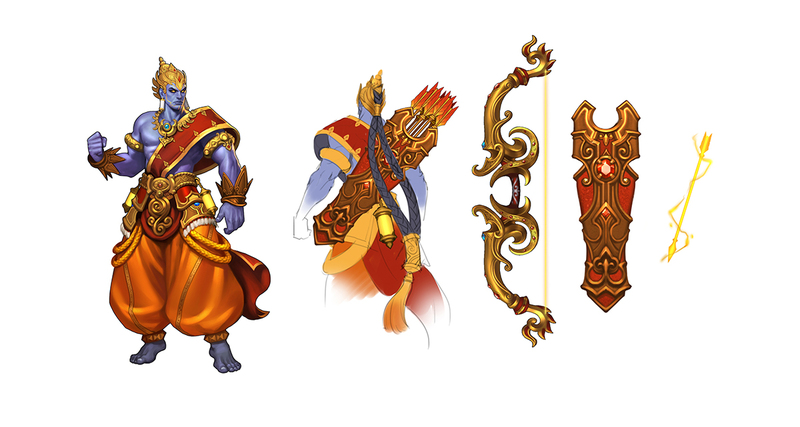 Not long after we released Janus, who had a better version of team-movement through portals, somewhat inspired by the Kumbhakarna trials still fresh on our minds. There are certainly god-designs, and god-redesigns, that have been heavily influenced by community opinion and suggestions. Our recent Arachne redesign was largely prompted by direct community request, for example. Just about everyone in the studio looks at community posts, but we also have a community management team dedicated to gathering information from our players and e-sports teams and making sure the information reaches the design team. This includes forum interaction, running surveys, and managing more focused feedback sessions. We have multiple community feedback meetings each week to go over all of this, and it’s a big part of our process! A little less formal, we also sometimes just tweet questions or post to Reddit and see what the response is! Beyond all that, the influence of the community is present in everything we do. We certainly look back at our more popular gods and judge what went right, while looking at our least popular gods and learning where to improve. 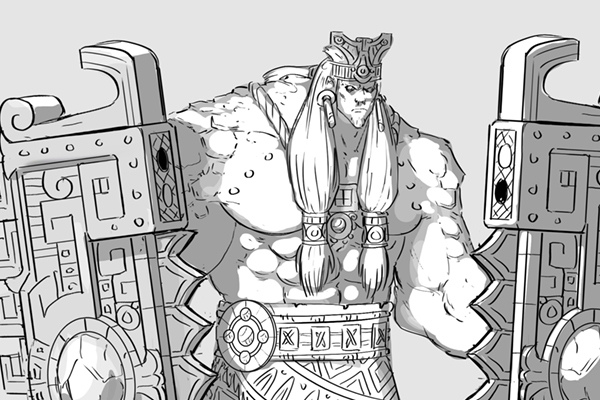 We thank Hi-Rez Studios for letting us discover the development of creating some of their godly god designs in SMITE.